Continue your advocacy efforts View webpage version. We look forward to sharing this new space with you in the near future! Congratulations to the 16 new innovators who were selected to join the 2018 Iowa Innovation Group (IIG)! This is the sixth consecutive year of the impactful program, which fosters the development of new ideas and innovations for credit unions. This year will mark 100 innovators to date. Each member will serve a six-month term, participate in periodic meetings led by ICUL and the Filene Research Institute, and be responsible for piloting new ideas at their credit unions. 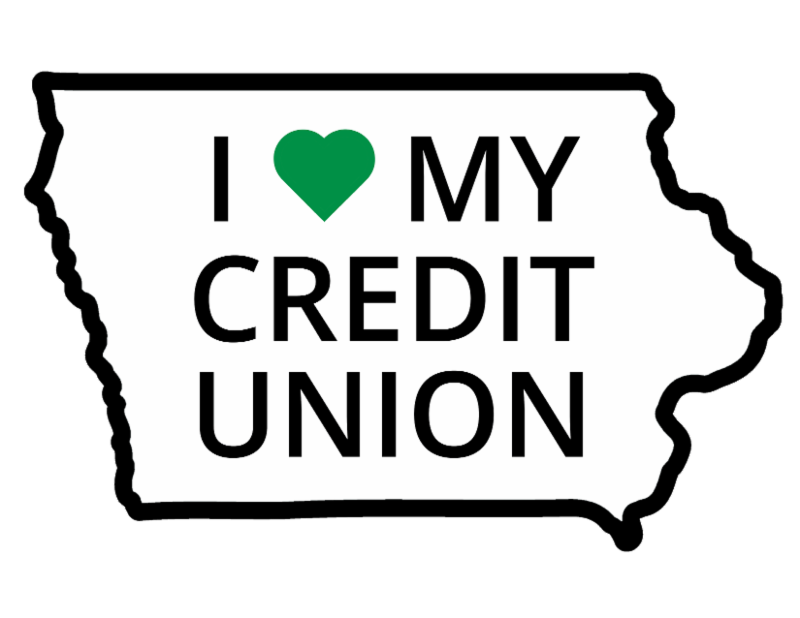 Stay tuned for the Iowa Credit Union Convention in Coralville September 19-21, where IIG members present four new innovative concepts to assist credit unions. As the 2018 legislative session continues, our advocacy efforts must remain strong to ensure a tax increase on credit unions does not become signed into law. On March 7, over 750 credit union advocates from across the state gathered and marched to the State Capitol in a great showing of unity and determination to protect the financial choice of Iowans. If you weren't able to join in this special day, here are a video and pictures from this engaging event. Thank you again to all who participated! This week, the tax bill is with the House Ways and Means Committee. Please continue to email and write your legislators asking them not to raise taxes on credit unions. Visit www.protectfinancialchoice.com for an easy email template. 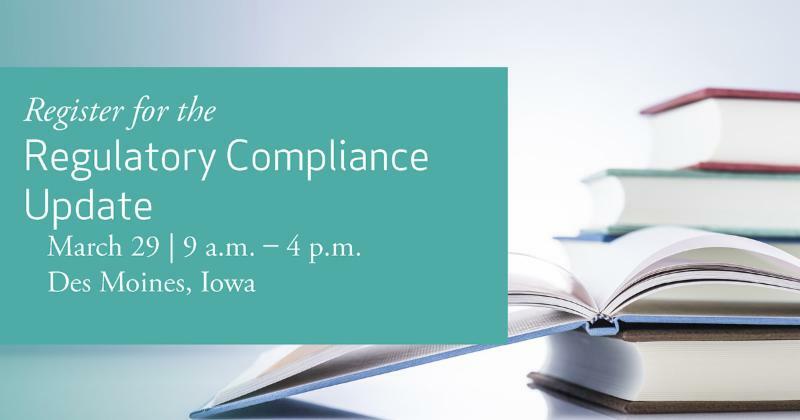 Register today to attend the Regulatory Compliance Update on Thursday, March 29 from 9:00 a.m. to 4:00 p.m. at the Des Moines Embassy Club West in West Des Moines. Credit union compliance and deposit operations staff are invited to join us for our annual Regulatory Compliance Update. This year, we will provide training on evergreen topics, such as website marketing compliance and trends in financial crimes. In addition, we will cover some upcoming rule changes in the areas of BSA and Regulation CC. Please see the registration website for the full agenda and cost and discount information. North Star Community Credit Union's President/CEO Jeff Hayes has been selected as a finalist for CUNA's Credit Union Magazine 2018 Credit Union Hero of the Year. According to CUNA, a credit union hero is someone who best personifies credit union philosophy and ideals, shows dedication to credit union principles and makes a difference in their community. Hayes is one of five finalists selected from across the country. To view the nominees and place your vote, visit news.cuna.org/cuhero. From Amazon and Alexa to Uber and Zillow, we don't need to look far to see how technology and connectivity have changed our way of life and how we do business. The auto and home (A&H) insurance industry is no exception. Regardless of whether your credit union currently offers A&H insurance, trends in the marketplace can help you evaluate, update, or implement new insurance offerings. Click here to read more. 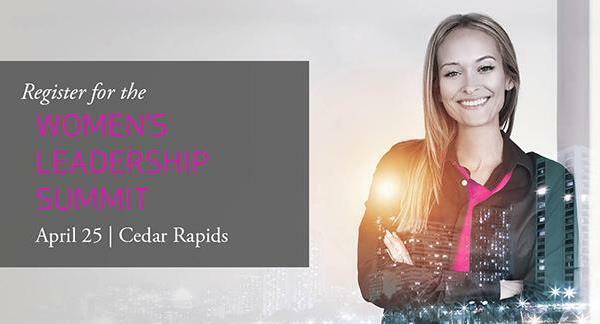 Join us for the Emerging Leaders Connection Roundtable on April 11 from 10:00 a.m. - 2:00 p.m. at the Coralville Marriott Hotel & Conference Center in Coralville. RSVP by Monday, April 9. The ELC Roundtable will feature speaker Rita Perea's presentation: Creating an Impact -The Power of Executive Presence and Personal Branding on Career Success. Executive Presence is the way leaders carry themselves, present themselves, connect with others, communicate with others, and project credibility. Important behaviors, to be sure. Defining a strong personal brand is the cornerstone to developing influential executive presence and to commanding a room. Attend the Spring ELC roundtable to learn how to develop these skills to move the needle on your career success. ELC Roundtables are open to any Iowa credit union employee who shows passion, potential and the ambition to grow as a credit union leader. There is no cost to attend and lunch will be provided courtesy of ICUL.